To create a highly interactive and immersing experience in which users not only become active participants in their community, but also take on the role of custodial guardians of their community, for the collective benefit of all landman professionals. LandmanConnection.com supports and practices the philosophy of professional philanthropy. LMC is the PREMIER Network for Professional Landmen. Landmen are seeking help from other industry professionals more so than ever before. They want new and innovative ways to connect and network. Today, landmen prefer to network and collaborate with peers, on-demand, online. 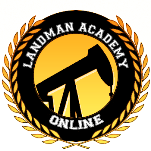 LMC is the first of its kind online meeting place for landman professionals. It is built upon the foundation of social networking and fuses user generated content and expert editorial together around an open source platform. This environment encourages and enables our members' participation in creating and directing the development of their very own network and ensures their participation in it. LMC is the only landman site that understands that "it's lonely when just starting out" for those new to the industry?. New landmen have no peers/contacts and therefore need to rely on help from their counterparts at other companies. This is why LMC caters to the highest common denominator in the landman universe and restricts access to industry only content and features. Members are free to interact, network and engage with peers whenever they desire. LMC clearly differentiates itself from every other industry information source in the marketplace. LMC is the new industry standard in B2B media. LMC is the first and only network for landmen launched in this new era of social networking. LMC has no ties to any 'old media' publications or web sites. And unlike one-dimensional social networks that simply enable personal connection, LMC provides the critical information and knowledge sharing that landmen require in order to successfully do their jobs.